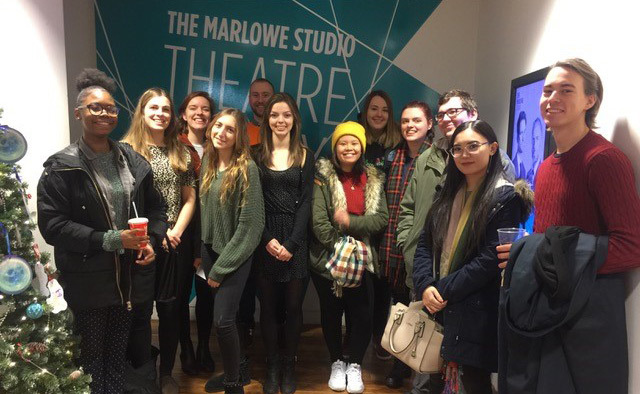 To celebrate the end of the term and the upcoming Christmas break, students from the Playwriting module for the Creative and Professional writing course took a trip to Canterbury’s Marlowe Theatre to see the new play … If We’ve Never Been To The Moon? I was filled with anticipation as we stepped into the small theatre, before being met with mince pies, Quality Streets and a warm welcome from the actors we were about to see. They were relaxed, making conversation as they showed us to our seats, before transitioning seamlessly into their performances. … If We’ve Never Been To The Moon? was captivating, inspirational and engaging. As an alternative to the Christmas panto, with music, dance and a story filled with hope, it was perfect for the Christmas season. But, unlike Cinderella showing next door, it was real. There was no fairy godmother to wave her magic wand and fix everything. Not only was the play entertaining, but it was also inclusive; it included subtitles for audience members who were deaf/hard of hearing. This helped with another important aspect of the play: audience participation. The subtitles provided song lyrics so we could sing along with the cast and lines for audience members to use when they were chosen to play a special role alongside the actors. One of our group was lucky enough to be chosen for such a role and performed brilliantly! Once the play had finished, we were lucky enough to be invited to a post-play talk with the writer and the producer, James Baldwin and Kimberley Sanders. We were able to get an insight into the process of writing and producing the play, which made me look at the work in a whole new way. Baldwin talked us through his inspirations for the play’s plot and how it morphed into the final production. Furthermore, we found out what it is like working in the theatre industry through their experiences and helpful tips. 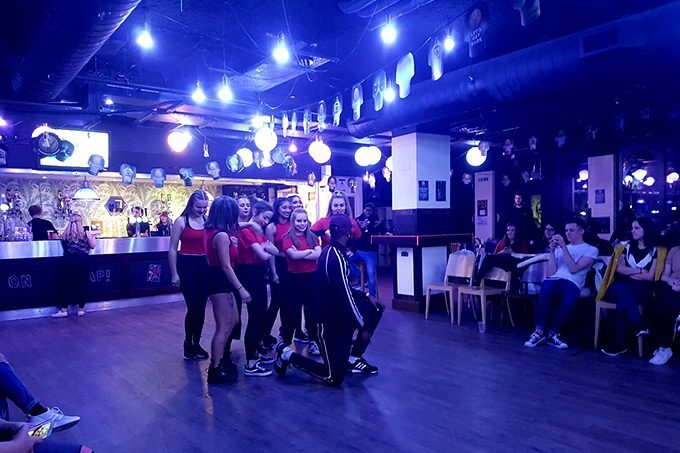 Sanders shared her journey on becoming the Marlowe Theatre Studio Manager, how she produced the play and gave some great advice on how I can get involved in producing myself. Thank you to James Baldwin and Kimberley Sanders for answering our questions, the wonderful cast of … If We’ve Never Been To The Moon for an amazing performance and everyone at the Marlowe for a great evening!